Choosing a company name is the first and most important step in starting your LLC. Be sure to choose a name that complies with Alaska naming requirements and is easily searchable by potential clients. 2. Is the name available in Alaska? Make sure the name you want isn't already taken by doing a name search on the Alaska Department of Commerce, Community, and Economic Development. You are required to nominate a Registered Agent for your Alaska LLC. Who can be a Registered Agent? a Registered Agent must be a resident of Alaska or a corporation authorized to transact business in Alaska. You may elect an individual within the company including yourself. 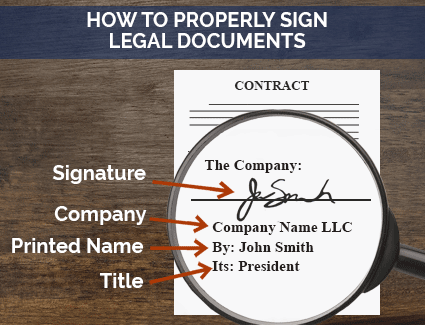 To register your LLC, you will need to file the Articles of Organization with the Alaska Department of Commerce, Community, and Economic Development. This can be done online or by mail. If you’re expanding your existing LLC to the State of Alaska, you will need to form a Foreign LLC. What is the processing time to form my Alaska LLC? What’s the difference between a domestic Alaska LLC and foreign LLC? An operating agreement is not required in Alaska, but it's a good practice to have one. For more information on operating agreements, read our Alaska LLC operating agreement guide. Workers' Compensation Insurance: A type of insurance that provides coverage for employees’ job-related illnesses, injuries, or deaths.In Alabama, businesses with five or more employees are required by law to have workers' compensation insurance. Note that officers and LLC members are counted as employees. Get a free quote with ADP. State: Use the State of Alabama's Licensing Section. Depending on the nature of your business, you may be required to register for Alaska State Tax. Alaska is one of five states that does not impose a sales tax on taxable goods or services. Businesses without employees will not be responsible for any state tax in Alaska. If you have employees in Alaska, you will need to register for Unemployment Insurance Tax through the State of Alaska Website. Alaska requires LLCs to file a biennial report with the Department of Commerce, Community and Economic Development. A biennial report typically includes basic information about your business and involves a filing fee. For more information check out Alaska Child Support Services Division's Frequently Asked Questions for new employee hires. Alaska requires employees to be paid on a monthly or semi-monthly basis. Forming a foreign LLC allows your company to operate as one entity in multiple states. If you have an existing LLC and want to do business in Alaska, you will need to register as a foreign LLC. This can be done online or by mail. You can order an Alaska Certificate of Compliance online. When you are ready to dissolve your LLC, follow the steps in our Alaska LLC Dissolution Guide.